Note: This is not so much an article as it is a random rambling. This is a collection of thoughts observed and gathered during conversations with strangers, but cricket lovers, during a few weeks of cricket activity that I couldn’t quite follow due to various reasons. This may lack flow, grammar, and in some cases may even defy common/cricketing sense – but are we ever worried about all this when we’re just … rambling. A remarkable thing happened in Jaipur recently: Shikar Dhawan became the first batsman in the history of the Irani Trophy to score a century in each innings. And yes, as I write this, the Indian cricketing fraternity is approaching the final of the Challenger Trophy that features another hero from the recently concluded Irani Trophy game. And we’re also one day away from the start of the 1st ODI featuring England and India, again. This time, the arena is a lot more humid and the wicket, a lot drier. It is not surprising to see the buzz of activity in the cricketing setup within India – the blitzkrieg happenings of CLT20, the patient mauling of the Ranji Champions Rajasthan in the Irani Trophy, the ongoing ‘where-did-that-come-from’ Challenger Trophy series and at last, some International Cricket taking stage featuring two teams that played each other, well, not too long ago. Too much to register right? And yes, I was speaking about Abhinav Mukund towards the end of the first paragraph. He looks in good touch – with a century in both the second innings of the Irani Trophy and the first List ‘A’ game of the Challenger Trophy. He followed it up with another impressive half century to take his team, India Red, through to the finals. And so did Uthappa and Aniruddha Srikkanth, with centuries apiece to take India Green to the finals. So what do I infer from this? Well, only that none of these guys are part of the Indian ODI team that is going to face England tomorrow in Hyderabad. But then who are the new guys in the squad to face England? S Aravind, of Bangalore Royal Challengers. And by the way, he represents Karnataka in the Ranji Trophy – he finished behind Vinay Kumar and Abhimanyu Mithun, also Karanataka players with Indian caps against their names, in the wickets tally last season. But wait, wasn’t he the same guy who’d conceded in excess of 60 odd runs against the pyrotechnics of David Warner? Yes, he was. But the squad was picked by then – and still, I’ll give him more credit for his Ranji exploits than the ones with BRC. 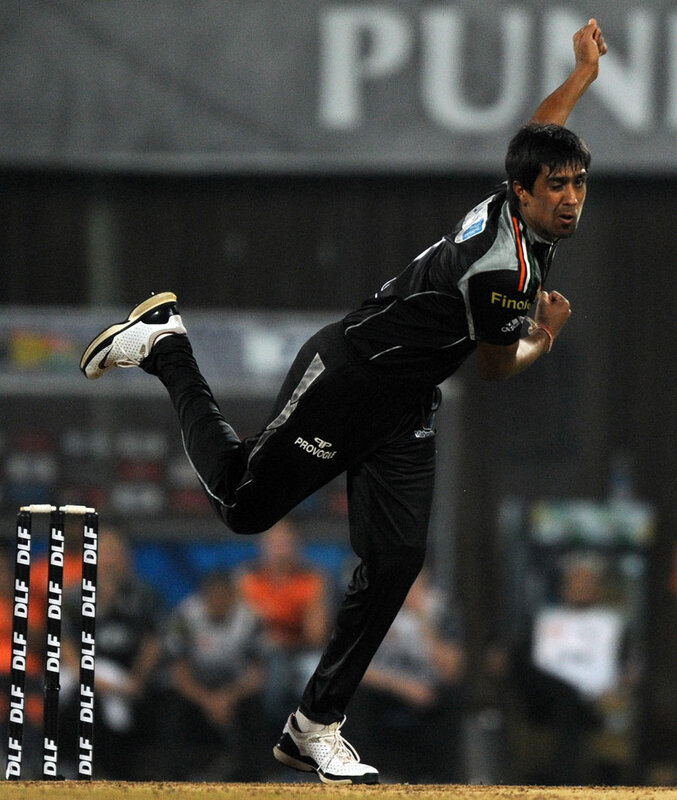 So, good luck to him – and Rahul Sharma, someone in whom I see a lot of promise and ability. Which Ranji team does he play for? Let me be honest. I had to cross-check with Cricinfo to put it in here that he plays for Punjab. But I did see him in the Irani Trophy game – he was good, although Ojha’s figures would have overshadowed his performance that game. But what about that guy who bowls in excess of 150, and never ended up bowling in England even though he took that long flight to Heathrow from somewhere in Australia? Varun Aaron is in the squad – although I’m not too sure he’ll play. They’ve got Vinay Kumar and Umesh Yadav. I saw all these guys during the Irani Trophy. And Parthiv Patel too – he’d received the trophy once ROI won the game. So where does one lay his focus with so much happening within a very short span of time? If you’re looking at through the eyes of the selector, maybe it isn’t as complicated as we think it is. Players who’ve done well in the T20 setup find their way into the Indian squad with relative ease these days, a trait that you would have hardly imagined if you’d been following the game for over a decade now. It makes it all the more easier to sympathize with those names that have toiled their trade, very successfully, in the domestic circuit for years and years, and were quite unable to fulfill their dreams of sporting Indian colors due to reasons aplenty. The challenge has not really come from the commercialization of the sport alone, but in the form of entertainment value, in which cricketers are chartered by unorthodoxy to create their own techniques, according to public vision. And you can bet that these visions do not include the skill sets that come via long periods of concentration, temperament and playing the style to suit “the team’s needs” – based on every individual’s strengths and weaknesses. Having said that, the Irani Trophy heroes – Dhawan, Rahane, Mukund and Ojha – have all had their share and taste of international cricket, nascent as it may have been in the case of the first three. Had their IPL teams qualified for the CLT20, these names, with the exception of Mukund, would have been missing from the ROI squad that stepped up to face the Ranji Champions Rajasthan in Jaipur last week. So, what we’re concluding is that the team that is lining up against England tomorrow will consist of players who’ve completed playing two contrasting formats of the game, some coming from injuries and a few after inaction. So, if England end up winning tomorrow, some of the key facts for the post mortem are have already been scripted for use. But why start with a tone of pessimism? The Indian U-19 team did emerge victorious recently, somewhere in Andhra! Now what was all that about? BRC? What’s that? And how can you have missed out all the fuss about Tendulkar’s new home? !